Ford is rolling along nicely, with a positive second-quarter sales report and a $2.3 billion profit in North America. The Dearborn, Michigan-based manufacturer captured $1.2 billion globally from April to June, with a $177 million profit in Asia. Even in Europe, the land of doom and gloom for automakers not named Mazda, Ford saw some success as it lowered its expected full-year loss from $2 billion to $1.8 billion. The company lost $348 million in Europe during the second quarter, which, believe it or not, represents a $56-million improvement over 2012. According to the report on CNBC, Ford enjoyed a three-percent increase in pre-market trading thanks to the news. The strong demand for the F-150 propelled growth in the US market, while Ford’s 47-percent increase in Asian sales can be attributed to the new EcoSport crossover and Kuga (Ford Escape in the US) arriving in the somewhat fragile Chinese market. Pre-tax profits for Ford are expected to be in the neighborhood of $8 billion by the end of the year, with sales the US, Europe, and China all looking up. The company also shifted $4.78 billion of asset-backed debt in the form of bonds, according to a report by Bloomberg. This move came amidst rumors of the Federal Reserve cutting back on its $85-billion-per-month bond purchases. Ford wasn’t alone among automakers looking to sell off debt, though, as Mercedes-Benz and Nissan shifted around $1 billion each in bonds relating to auto loans. Ford books $1.2B profit in second quarter on strength of trucks originally appeared on Autoblog on Wed, 24 Jul 2013 10:59:00 EST. Please see our terms for use of feeds. 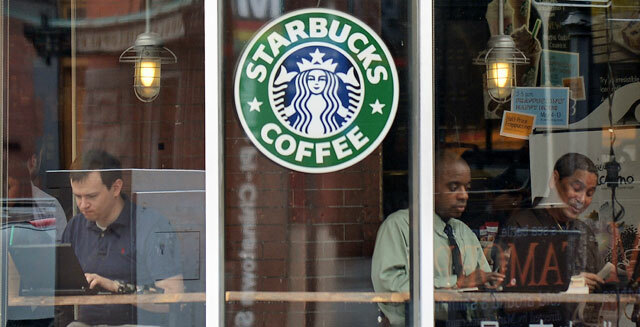 Starbucks plans a big new product line, and a case of when bad is good. Those and more are what’s making business news Wednesday. The Dow industrials (^DJI) rose 22 points Tuesday, enough for another all-time high. But the S&P 500 (^GPSC) lost 3 points, and the Nasdaq (^IXIC) fell 21. Starbucks (SBUX) continues to expand beyond coffee. It’s joining forces with Dannon to make Greek yogurt parfaits. The fast-growing yogurt business in the U.S. is worth more than $6 billion, and analysts say there’s still plenty of room to go. Last year, Starbucks expanded its tea business by acquiring the Teavana chain. Apple’s (AAPL) quarterly earnings fell 22 percent from a year ago, but that wasn’t as bad as most analysts had forecast. Revenue edged higher as it shipped more than 31 million iPhones. That was well above expectations and the stock is likely to climb this morning. AT&T’s (T) net edged slightly lower, but on the positive it reported the number of new customers signing long-term service contracts nearly doubled from a year ago. Ford (F) reported better-than-expected second quarter earnings in part due to strong domestic demand for its F-Series pickups. The automaker earned $1.2 billion in the April-June period, propelled by a $2.3 billion profit in North America. Ford shares rose 3 percent in premarket trading. Among other big names reporting this morning: Boeing (BA), Caterpillar (CAT), Delta Air Lines (DAL) and USAirways (LCC). Other stocks likely to make big moves to the upside following earnings include video gamemaker Electronic Arts (EA) and software company VMWare (VMW); like to trade to the downside, chipmaker Broadcom (BRCM) and restaurant chain Panera Bread (PNRA). The big report after the bell today comes from Facebook (FB). The focus will be on how much the company grew its revenue from mobile platforms. The New York Times (NYT) reports officials in Louisiana are preparing to file suit against Exxon Mobil (XOM), BP (BP) and other oil producers, accusing them of damaging the coastal wetlands that help protect the region from hurricanes. A new report shows that Google (GOOG) accounts for nearly a quarter of all the Internet traffic in North America. That’s more than Facebook and Twitter combined. And Carl Icahn, one of those big time investors who can move stock prices, is offering a tease about what he’ll do next. CNBC reports that Icahn plans to give clues about his next big investment on Twitter. His handle is @Carl_C_Icahn. Did Warren Buffett Just Become The World’s Biggest Spammer? There’s a spam email zipping around the internet that purports to be a congressional reform plan from Warren Buffett. The problem is, the email – like so many internet missives – is full of misleading half-truths. So I wanted to set the record straight and give you a plan that would actually work to reform our broken system. In actuality, the Buffett Plan would reform congressional budgeting – not Congress itself. He explained it during an interview on CNBC in 2011. Buffett understands that working with politicians is all about incentives; and today, all the incentives are wrong. Buffett understands that what motivates members of Congress is re-election. If you want to balance the budget, just tie successful budgeting to re-election. Most Americans don’t remember him, but Warren Buffett’s father was a Republican congressman from Omaha. So when Buffett talks about Congress, he has an insider’s view of how the institution really works. And his budget reform plan creates the incentives necessary to make the institution work. The incentives for members of Congress are currently upside-down. To get re-elected, congressmen spend nearly half their time raising money. To raise money, they spend hours making calls and attending events with the special interest representatives who grease the campaigns’ wheels with money. As a result, legislation is full of crony capitalism and special interest goodies. But with the Buffett plan, we’d get the deficit under control and likely balance the budget. And to further reform Congress, I believe we should make a few additional changes to the business of influence peddling (also known as lobbying.) You see, the most popular gig for former members of Congress is to become a lobbyist. My first reform would be to close this revolving door by instituting a lifetime ban that keeps members of Congress from becoming lobbyists. After former member lobbyists, the next group to join the profession in droves is congressional staff. I would also ban former staff members from lobbying their former bosses. Currently, this is one of the dirtiest secrets in Washington. You see, lobbying firms target specific congressmen. And the firms love to hire the former staff assistants of their target congressmen, giving the firm direct access to the people they’re trying to influence. If you work for Senator X or Congressman Y, you shouldn’t be allowed to come back to your old boss and lobby him or her. To make this ban work, we’d need to require “Lobbying Entities” to report on the former members of Congress and former congressional staff whom they employ. And that could be done with a simple website. It’s just one in a laundry list of factors, but more fuel-efficient cars could make a difference in lowering oil prices dramatically to half their present levels, plunging to $50 a barrel by the end of the year. That’s what Gulf Oil CEO Joe Petrowski is predicting in a new interview on CNBC‘s Squawk Box, though he is quick to point out that a halving of oil prices doesn’t necessarily translate to a halving of fuel prices. And, as CNN reports, lower oil prices could mean protests in oil-producing OPEC nations. Petrowski highlights the fact that North America is “producing record amounts of oil and natural gas,” adding that OPEC suppliers are up as well. Additionally, demand from countries like China has ebbed, while the utilities sector has also cut its use of oil. Petrowski estimates that a shortage of pipelines and the need to transport fuel via rail and truck adds about 40 cents a gallon to gas prices. CNN explains that more domestic energy production (and, again, dropping demand in China) means that “demand for OPEC oil may fall by a million barrels a day over the next three years.” Given that Saudi Arabia and other OPEC nations rely on high oil prices to fund domestic spending, lower crude prices could cause instability around the world, from Iran to Venezuela to Russia. Lower oil prices don’t influence gas prices directly, but, they will have an impact on gas prices – and thus the car market in the US. Right now, the price of regular gas in the States has climbed about 15 cents in the past week to $3.66 a gallon, according to AAA. Prices are about even with a month ago, but have risen about seven percent in the past year. For more, check out a video of Petrowski’s interview on CNBC by scrolling below. Gulf CEO says oil prices could halve by end of year, cause global instability [w/video] originally appeared on Autoblog Green on Fri, 19 Jul 2013 09:45:00 EST. Please see our terms for use of feeds. Seeking a second term as New Jersey governor with a possible eye to a White House run in 2016, Chris Christie is heavily touting his business record, as he did at the ribbon cutting of real estate firmRealogy‘s new corporate headquarters in Madison, N.J., last month. “We made a commitment from the beginning to grow New Jersey‘s economy. 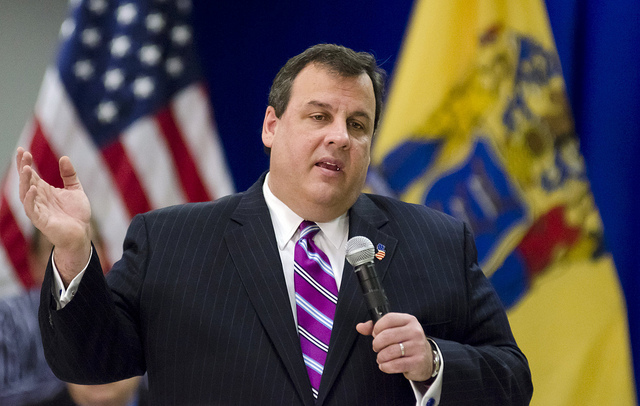 The only way to do that is with the private sector,” Christie said. Christie often points to his administration’s “partnership” with business, including deregulation, tax cuts and incentives. But he is unlikely to point to New Jersey’s standing in our America’s Top States for Business rankings. It has declined since he took office in 2010. Read more at CNBC. By Scott Cohn. It’s easy to lose sight of the purpose of investing. Despite what CNBC might lead you to believe, investing is not about adroitly maneuvering in and out of the market on a daily, if not hourly, basis trying to beat the pros. The only one that gets rich when you do this is your broker — ever wonder why brokerage commercials show people with home offices far nicer than yours? The true purpose is instead much more pedestrian in nature — as billionaire George Soros has been known to say, “If investing is entertaining, if you’re having fun, you’re probably not making any money.” First and foremost, the purpose of investing is to preserve your hard-earned capital against inflation. And beyond this, it’s to generate a respectable return. Most people think the way to do so is to pick great stocks. I would agree, with a caveat. Picking individual stocks that don’t put your capital at undue risk while also offering a reasonable return is hard. Anybody who leads to you believe otherwise has no idea what they’re talking about. What do you think the world’s greatest investors do all day? Here’s a hint: They don’t have day jobs — or, rather, their day jobs revolve exclusively around investing. It’s easy for people like Peter Lynch, the longtime manager of Fidelity’s Magellan Fund, to proclaim that you should “invest in what you know,” or for Warren Buffett, the greatest investor of all time (click here to see Buffett’s 10 largest stock holdings), to quip that you should “be fearful when others are greedy and greedy when others are fearful,” but the fact of the matter is that these guys didn’t get rich by following cliches. They got rich by spending countless hours studying the companies behind the stocks they invested in — or, perhaps more importantly, didn’t invest in. With this in mind, here’s something else Lynch has said: “If you don’t study any companies, you have the same success buying stocks as you do in a poker game if you bet without looking at your cards.” I don’t know if you play poker, but your odds aren’t very good if you don’t know what’s in your hand. If you nevertheless want to go down this path, subscribe to our Stock Advisor newsletter service. That’s a shameless pitch, I know. But hear me out. It’s run by demonstrated winners who, as far as I can tell, spend the vast majority of their waking hours reading up on, researching, and thinking about great companies. And they have the results to back it up. Since starting the service in 2002, their picks have returned 105%, outperforming the S&P 500 by 69%. Did McDonald's Just Lose Its Innovative Touch? Last year was rough for much of the restaurant industry, but fast-food giant McDonald’s had seen considerably tougher challenges before. It has thrived through countless recessions by focusing on its value menu to drive new and repeat customers into its restaurants, modifying its menu to suit ever-changing palates, and remodeling its restaurants to appeal to both family-oriented and younger crowds. However, last year wasn’t a particular rough year for the overall economy, yet McDonald’s turned in one of the year’s most disappointing performances on record, reporting its first same-store sales decline in nine years in November. McDonald’s blamed a weakening economy which constrained consumers’ pocketbooks, increasing competition, and European weakness for the shortfall. A lot of people believe that McDonald’s struggles will only be temporary given its global appeal. McDonald’s introduced healthier eating habits with salads and the McWrap, revolutionized fast-food dining with its Value Menu, and has been at the forefront of nearly every major innovation in the fast-food industry over the past three decades. But has anyone considered that maybe McDonald’s is losing its innovative touch? McDonald’s CEO Don Thompson, who has been on the job for only a few months now, conducted an interview with CNBC on Friday, where he answered questions regarding the direction his company is headed. Thompson keyed in on some pivotal strategies that he thought would give McDonald’s the opportunity to succeed including the introduction mobile payments, creating even healthier food selections to target millennials, developing a delivery service, and potentially changing its menu to serve breakfast all day. The reaction among most investors and Wall Street analysts to Thompson’s interview is that McDonald’s has the plan to succeed. My reaction is that Thompson and McDonald’s are on the path to emulation instead of innovation. McDonald’s has severely lagged many of its peers when it comes to the targeting of millennials, both in terms of offering mobile payments as an option and with regard to healthier eating options. While McDonald’s was busy testing eBay‘s mobile-payment system PayPal in 30 of its French restaurants last year, Starbucks locked up a contract to install Square’s mobile readers in 7,000 of its locations. In terms of healthier eating options, McDonald’s is finding increased competition from the likes of Starbucks and Chipotle Mexican Grill . Although McDonald’s is doing an admirable job of bringing salads and wraps to fast-food consumers, Starbucks and Chipotle can offer conveniently quick, organic, natural, and/or antibiotic-free sources of meat, fruits, and veggies to customers. With McDonald’s content to stay the course and both Starbucks and Chipotle stepping up their game, a younger crowd of eaters has made the move away from the Golden Arches toward these two brands. 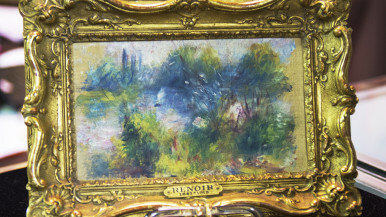 By Brad Lamensdorf, Contributor Welcome to the Lamensdorf Market Timing Report. Our mission is to help you make money over the long term with advice on how to properly allocate capital into the market, reflecting both the risks and rewards that are currently present. Brad Lamensdorf, a veteran market timer and chief investment officer for the newsletter, points out that many investors lose money because they fail to think about how or when they are deploying capital, merely moving their exposure around based on emotions. At the Lamensdorf Market Timing Report, we monitor some of the most savvy independent research firms in order to give you the best chance to repeatedly make good investment decisions. Investors can improve risk adjusted performance by assessing the environment of the stock market using a variety of technical, fundamental and sentiment-oriented tools from powerful independent research firms. In Brad’s experience, following a systematic process is the only way to approach investing and make money over the long term. He has been utilizing many of these indicators for decades. He used them when working for the Bass brothers and deployed them in his long/short hedge fund, Brad continues to use them in his role as co-portfolio manager of the Ranger Equity Bear ETF (HDGE). This systematic process will be firmly implanted in the Lamensdorf Market Timing Report. Brad is a frequent commentator on major business networks including CNBC, and Business News. In his role as as co-portfolio-manager of the short-only actively managed Ranger Equity Bear ETF, he identifies short and intermediate-term market trends to manage exposure and mitigate risk. Before Ranger Equity Bear, Brad was a trading and marketing strategist for Ranger Alternative Management‘s short only portfolio, where he was both portfolio manager and principal. He also served as a principal of Precisian GP,LLC and portfolio manager of Precisian Partners L.P. Prior to Precisian he founded BHL Partners L.P., a commodity oriented hedge fund primarily focused on gold and gold equities. In addition, he served as a principal of Tarpon Capital Management L.P. and was the portfolio manager for Tarpon Partners, L.P. In 1997 he was a founder, partner and co-manager of KBH, L.P., an investment firm created to manage investment portfolios for the King-Hughes family. Brad also worked on the equity trading desk for the Bass family in Fort Worth, Texas where he co-managed an extensive equity portfolio with emphasis on short selling and derivative strategies. Brad received a B.A. in psychology from the University of Texas at Austin in 1992. As gold prices extended their decline on Monday, investors dumped shares of gold miners on worries over their profitability as the yellow metal trades below the key psychological level of $1,500 an ounce. Shares of Australian-listed Kingsgate Consolidated, a gold producer and exploration company, and miner Beadell Resources plunged 15 percent, while Newcrest Mining, which operates gold and copper mines, tumbled more than 8 percent. The drubbing in gold-related stocks was not confined to Australia, with gold producers in China also falling sharply. Shanghai-listed Zhongjin Gold fell 6.5 percent, while Zhaojin Mining tumbled more than 9 percent in Hong Kong. Barrick Gold Corp. (NYSE: ABX) is down more than 4% in premarket trading to $21.50. Newmont Mining Corp. (NYSE: NEM) is down more than 5% to $34.30. Both will be new 52-week lows if they hold. Earlier this year, Microsoft asked suppliers in Asia to ship components for a potential watch-style device, the executives said. One executive said he met with Microsoft’s research and development team at the software company’s Redmond, Wash., headquarters. But it’s unclear whether Microsoft will opt to move ahead with the watch, they said. A two-year slump, 19 million unemployed and five countries on emergency aid are no reason to take bold, immediate action to spur economic growth, according to European officials set to defend their handling of the debt crisis in Washington this week. Shrugging off the U.S. Federal Reserve‘s stimulus and the Bank of Japan‘s reflation campaign, Europe‘s economic managers say they are on the right track in propping up the 17-nation euro zone, even if evidence is taking time to filter through. 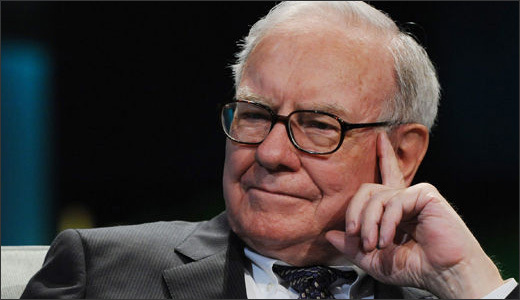 When Warren Buffett speaks, the investment world tends to listen, and for good reason. Likewise, when Buffett’s second in command, Berkshire Hathaway Vice Chairman Charlie Munger, expresses an opinion, you should take note. Nearly a year ago, Munger told CNBC that he thinks that “civilized people don’t buy gold,” instead preferring a collection of well-run business, much like those in Berkshire’s portfolio. While his advice was sound a year ago, it truly resonates this year as analysts across the street slash price expectations and, in some cases, recommend being short gold. Given the turmoil and increasingly negative outlook settling over the gold market, 2013 may be a good year to sit out in pursuit of more prim and proper pursuits. We just have a wonderful portfolio in business, if you average them out. By and large they’re doing productive, useful work. It’s not outsmarting the computer systems in the trading markets. Even though the comment is self-serving, and arguably stale, it highlights an important concept when thinking about the gold market, namely that gold doesn’t really do anything. Unlike silver, which has a myriad of industrial uses, as do Molycorp‘s rare earths, gold is mostly coveted as a safe-haven investment or inflation hedge. “I think civilized people don’t buy gold,” Munger said; “they invest in productive businesses.” Where the rare earth materials produced by Molycorp and others are used in health care, technology, water treatment, and defense applications, gold is used for very little beyond jewelry. He may not have had other materials companies in mind, but this distinction for gold is an important one and should not be lost. Both Goldman Sachs and Deutsche Bank recently cut their respective outlooks for gold for the rest of 2013 and beyond. Deutsche focused on the strength of the U.S. dollar, the shift into stocks, and its view on improving U.S. growth as all being negative for gold over the medium and longer terms. It trimmed its 2013 outlook by nearly 12% and, while it dropped its 2014 projection by 4.7%, it still sees gold climbing to $1,810 next year. Goldman’s view is much grimmer, leading the investment bank to recommend that clients go short gold ahead of continued weakness. In its second cut of the year, Goldman dropped its 2013 price target to $1,545 and its 2014 target to $1,350, well below the estimate of many peers. Some of the reasons cited include the muted response gold prices have had to economic weakness and the potential for accelerated selling pressure as speculative investments are wound down. It’s not every day that you hear a CEO of a major company complimenting Obamacare—even grudgingly. But this morning Jonathan Bush, Chairman and CEO of Athena Health [ATHN] was on CNBC’s Squawkbox singing the praises of the radical transparency being generated by Obamacare and the savings it will generate. GREAT FALLS, Mont.–(BUSINESS WIRE)– Eco-Trade Corp. (OTCQB: BOPT), an independent oil and gas exploration Company, today provided insights on its property with the Bakken now being one of the largest sources of crude production in the USA and being considered to be a game changer in achieving American energy independence. “The outlook for Bakken crude production over the next few years is promising, and many of the government reserve estimates could be understating the potential of Bakken and some of its surrounding formations,” Platts Energy news said. And a recent article on SeekingAlpha.com noted that Barron’s financial magazine reported that a Citigroup strategist said the exploration and production subsector of the energy sector looks “strong” due to favorable valuation factors. Also, in late March 2013, an article on Morningstar said that the energy sector remains “materially” undervalued. On Monday, Crude oil for May delivery gained 66 cents, or 0.7%, to settle at $93.36 a barrel on the New York Mercantile Exchange. The contract had touched an intraday high of $93.75. 1. It is located in the prime thermal maturity zone, where Vitrinite Reflectance (Ro) is between 0.7% and 1.5%. This is where oil generation in the Bakken is at its highest level. 3. The prospect area is easily accessible, serviced by many highways and nearby towns, and the land itself is largely gentle rolling hills. Ron Johnson’s disastrous tenure with J.C. Penney (JCP) has apparently come to an end: CNBC is reporting that Johnson is out as CEO of the floundering retailer. The company says that former J.C. Penney CEO Myron E. Ullman III will be taking over as chief executive. Johnson, who formerly headed Apple’s wildly successful retail operations, was brought on by J.C. Penney in November 2011 in a bid to boost lagging sales, and he quickly made a number of radical changes to the century-old retailer. The everpresent sales and coupons were scrapped in favor of a “fair and square pricing” scheme. He brought in fresh new apparel lines and used a “store-in-store” concept to turn the sales floor into a collection of branded boutiques. He armed salespeople with mobile checkout devices, another Apple Store innovation. And he touted the changes with major ad buys, including spots with celebrity spokeswoman Ellen DeGeneres. But the changes were rejected by many J.C. Penney shoppers. The pricing scheme was abandoned after a year, with Johnson acknowledging that it was a “big mistake.” We’ve heard from dozens of former J.C. Penney customers who said they no longer like the clothes they find at the store. And one sales associate told us that the mobile checkout devices frequently fail and make things less convenient for customers. The company went from bad to worse as Johnson’s grand experiment played out. Sales dropped a whopping 25 percent in his first year as CEO. Same-store sales were down 32 percent in the fourth quarter. As the share price dropped like a rock — it’s lost more than half its value in the last year — big investors fled for the exits. And while Johnson’s strategy had its defenders, the company was burning through a whole lot of cash making it a reality. Calls for Johnson’s ouster grew ever louder as quarter after quarter of dismal results rolled in, and at the beginning of the year we named him one of the CEOs most likely to lose their jobs in 2013. That prediction — which we were by no means alone in making — has now come true. J.C. Penney stock is already up in after-hours trading on the news of Johnson’s firing. Warren Buffett was on CNBC a few weeks ago, and took an emailed question from a viewer. When, the viewer asked, will Bank of America and Citigroup trade above tangible book value like Wells Fargo and JPMorgan Chase? Well, a bank that earns 1.3% or 1.4% on assets is going to end up selling above tangible book value. If it’s earning 0.6% or 0.5% on asset it’s not going to sell. Book value is not key to valuing banks. Earnings are key to valuing banks. Now, it translates to book value to some extent because you’re required to hold a certain amount of tangible equity compared to the assets you have. But you’ve got banks like Wells Fargo and USB that earn very high returns on assets, and they at a good price to tangible book. You’ve got other banks … that are earning lower returns on tangible assets, and they’re going to sell — they’re going to sell [for less]. In other words, a bank isn’t a bank isn’t a bank. For reasons that escape me, we tend to lump banks into a group (especially big banks), treating them as a monolith. You hear things like, “I like the big banks,” often with little distinguishing between which one. Yet all of the big banks have different business models, different focuses, different customer loyalty, different cross-selling abilities, and so on. The results are vastly different earning potential, and vastly different valuations. “All banks aren’t alike by a long shot, and in our view, Wells Fargo, among the large banks, has some advantages the others do not,” Buffett said during a 2009 Berkshire Hathaway meeting. They get their money cheaper than anybody else. We’re the low-cost producer at Geico in auto insurance among big companies. And when you’re the low-cost producer — whether it’s copper, or in banking — it’s huge … The key to the future of Wells is continuing to get the money in at very low costs, selling all kinds of services to their customer and having spreads like nobody else has. This isn’t a ground-moving insight — Buffett’s key to valuing banks is earnings. You don’t say! — but it’s an important point to remember when forming expectations. There is no rational reason to expect a bank like Bank of America to trade at a similar price-to-book value as Wells Fargo. It’s been an exciting week across the Pacific, to say the least. Japan shocked the world with its massive stimulus program announced recently, and the Nikkei responded positively by soaring to gains of more than 3.6% over the past five days. Will stimulus be enough to end Japan‘s deflationary stagnation that has stuck about for the past two decades? Only time will tell, but for now, investors and financial firms are brimming with optimism. New Bank of Japan Governor Haruhiko Kuroda announced earlier in the week that the country’s central bank would begin buying government bonds to the tune of 50 trillion yen — or $520 billion — per year. The BoJ is poised to double the country’s money supply by the end of next year, as Japan unleashes its biggest salvo yet in the war against deflation and economic stagnation. Considering that inflation since prime minister Shinzo Abe entered office has sent the Nikkei roaring to multi-year highs, Japanese stocks are poised to soar even higher on this far more aggressive move. The iShares MSCI Japan Index ETF has capitalized on the weakening yen by pulling in more than 10.5% in the past three months, racing higher on the back of a trend that Abe isn’t looking to slow down any time soon. Not everyone’s happy, however. Some Chinese economists have speculated that Japan‘s monetary easing will spark a new currency war with other leading economists, such as the U.S., also running stimulus programs. Although the easing could hurt China‘s exports into the nation, other observers have praised the move. Billionaire George Soros told CNBC that Japan‘s new easing policy provides a way for the third-leading economy to “escape after 25 years of slow death,” although Soros also pointed out the dangers possible with such a drastic plan. Nonetheless, financial firms in Japan are applauding the move. Shares of Mizuho Financial Group and Nomura Holdings took off over the past five days, with each stock gaining more than 9%. Shareholders of Mitsubishi UFJ Financial Group did even better, however: The stock exploded for an astronomical 15% gain over the last five days alone, wiping out what had been a year-to-date loss in just one week. Other signs from these financial giants point to Japan‘s economic growth. Nomura recently hired the most new college graduates in four years, as it looks to boost its domestic retail operations. Mitsubishi and Mizuho also plan to raise their hiring numbers in 2014. The companies’ moves are part of a wave of confidence in Japan‘s financial industry, as business optimism returns to the country, and investors look to take part in the Nikkei’s unmatched rise. The new stimulus measure should only keep these companies moving forward at a torrid pace as the weak yen fuels Japanese businesses’ success. In short, it’s a good time to be a Japanese investor. How can you make money abroad? Recently, CNBC commentator Jim Cramer took to the air to declare that stock splits matter, and that, in particular, salesforce.com‘s plan to split 4-for-1 could send the shares higher. He’s wrong, says Tim Beyers of Motley Fool Rule Breakers and Motley Fool Supernova in the following video. The Salesforce stock split will only help those who don’t fully understand the value of the underlying business. Management, meanwhile, says it wants to split Salesforce stock in order to increase liquidity for issuing equity options to employees (which it already does, in bulk). As it stands, Salesforce’s stock will officially split on April 18. Do you see the stock moving higher in the months following? Why or why not? Please watch Tim’s take, and then leave a comment to let us know what you think of Salesforce’s business prospects. It’s incredible to think just how much of our digital and technological lives are almost entirely shaped and molded by just a handful of companies. Find out “Who Will Win the War Between the 5 Biggest Tech Stocks?” in The Motley Fool‘s latest free report, which details the knock-down, drag-out battle being waged by the five kings of tech. Click here to keep reading. The article Cramer Is Wrong: The salesforce.com Stock Split Is Meaningless originally appeared on Fool.com. stock-picking team and the Motley Fool Supernova Odyssey I mission. He owned shares of Salesforce.com at the time of publication. Check out Tim’s web home and portfolio holdings or connect with him on Google+, Tumblr, or Twitter, where he goes by @milehighfool. You can also get his insights delivered directly to your RSS reader.Motley Fool newsletter services have recommended buying shares of Salesforce.com. The Motley Fool has a disclosure policy. We Fools may not all hold the same opinions, but we all believe that considering a diverse range of insights makes us better investors. Try any of our Foolish newsletter services free for 30 days. WASHINGTON and NEW YORK — Jeffrey Skilling, the former Enron Corp. chief executive serving a 24-year prison term for the energy company’s spectacular collapse, may get a chance to leave prison early. The U.S. Department of Justice has notified victims of Enron’s fraud and 2001 bankruptcy that prosecutors may enter an agreement with Skilling that could result in a resentencing. Skilling, 59, has served about 6&frac14; years in prison following his May 2006 conviction by a Houston federal jury on 19 counts of securities fraud, conspiracy, insider trading and lying to auditors. It is unclear how much Skilling’s sentence could be reduced, and a Justice Department official said no agreement has been reached. CNBC, the television business channel, said prosecutors and Skilling’s lawyers have been negotiating a shorter term. Skilling had previously agreed to forfeit $45 million to be used as restitution for victims of Enron’s fraud. That money has been held up because of the negotiations on a new sentence. “The department’s goal is, and has always been, to ensure that Mr. Skilling be appropriately punished for his crimes, and that victims finally receive the restitution they deserve,” another Justice Department official said. Skilling has maintained his innocence, and according to court filings has been pursuing a new trial. He is scheduled to leave prison around February 2028, assuming good behavior, according to federal prison records. Daniel Petrocelli, a lawyer for Skilling, didn’t respond on Thursday to a request for comment. A new sentence would have to be approved by U.S. District Judge Sim Lake in Houston, who had imposed the original sentence. Once ranked seventh on the Fortune 500 list of large U.S. companies, Enron went bankrupt on Dec. 2, 2001. Its demise led to reforms including the federal Sarbanes-Oxley Act of 2002. In its Wednesday notice, the Justice Department advised former Enron employees, stockholders and other victims that it is “considering entering into a sentencing agreement” with Skilling. The notice gives recipients until April 17 to voice objections. In 2009, the 5th U.S. Circuit Court of Appeals upheld Skilling’s conviction, but called his sentence too harsh. The next year, the U.S. Supreme Court also upheld the conviction, but rejected one legal theory behind it. In 2011, the 5th Circuit reaffirmed the conviction. Skilling is being held at a low-security prison for men in Littleton, Colo.
At the 2006 trial, the Houston jury also found Kenneth Lay, who was Enron’s chief executive before and after Skilling’s six-month term, guilty of fraud and conspiracy. Lay died in July 2006, and his death led to his conviction being thrown out. Apple has been giving bulls fits in recent months, and everyone seems to have the secret recipe of what will get the world’s most valuable consumer tech company back on track. Apple needs to put out a 5-inch iPhone to compete against Samsung’s Galaxy S4 and other Android handsets that make the iPhone 5 seem puny in comparison. There has to be a low-cost iPhone so Apple can compete in overseas markets where the company’s market share is much lower than it is here. Apple needs to become more aggressive in returning cash to its shareholders. The latest reports out of Asian suppliers aren’t very encouraging in tackling the first point. Sources are telling The Wall Street Journal that production on the next iPhone will begin this quarter for a summertime launch, but the new device is the same size as the iPhone 5. Marshall warns that every manufacturer outside of Apple at the Mobile World Congress earlier this year had a 5-inch smartphone to show off. Apple may be a year away with a response if it lets this window slip away. The low-cost iPhone is more likely to happen this year. The chatter is growing, and countries where wireless carriers aren’t willing to fork over more than $300 in subsidies need a cheaper solution badly. The big challenge for Apple is to get the balance right. When the market wanted a cheaper iPad, the iPad Mini wound up cannibalizing sales of the larger tablet at a price point 34% lower than the full-sized iPad. At a time when even the latest iPhone lacks features found in the latest Android devices, it’s not as if Apple can afford to scale back on the spec sheet. As for returning more money to its shareholders, everyone outside of Cupertino is stumped why Apple hasn’t come through with a dividend increase. It has the money. It’s not spending it on acquisitions. The aggressive buybacks and dividend-hike announcement can’t come soon enough. That might be enough to settle Apple bulls down, but is that enough? Apple could really be doing so much more. Missing from Marshall’s three points is the need for innovation. Marshall is bullish on Apple. He has a “Strong Buy” rating and a $600 price target. In order for Apple to get there it’s going to need more than a larger iPhone, a cheaper iPhone, and a fatter yield. Apple needs to start delivering on the chatter. The iWatch, Apple HDTV, and even the iRing may amount to little more than wishful thinking, but it’s now been three years since Apple’s last bar-raising introduction when the first iPad hit the market. Why stop there? Why not start invading the turf of others?